The power of community and key influencers are changing the way we do business. The likelihood of purchasing a product that is recommended by a friend is much higher than a product without such a recommendation. Consumers are now more comfortable with recommendations from those with similar interests, products, and other friends — even if they don’t know them personally. The impact of celebrity or authority recommendations is also growing. As a result, we are seeing rising influence from social sharing tools within ecommerce. Most online stores today embrace adding product “likes” to Facebook, Google+, and Pinterest. 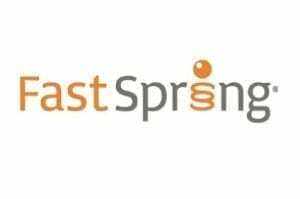 We also have a new wave of social shopping sites that will likely further change the shopping behaviors of consumers. Have you experimented with social shopping as a consumer or for your business? If the answer is “no,” set aside some time to catch up with what is happening with social shopping. For artists and niche brands, there are significant opportunities to market your products on sites like Fab, Pinterest, and Wanelo. 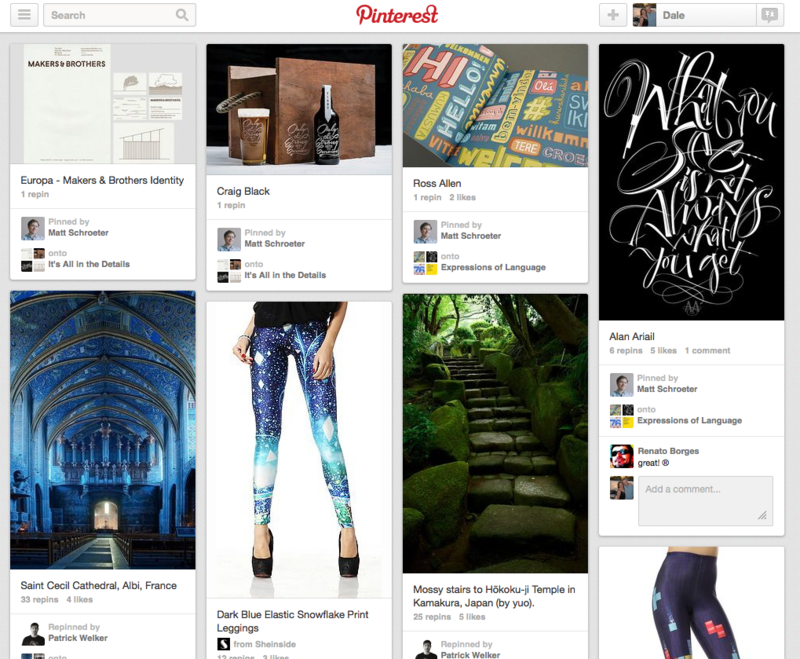 Online retailers can also use Pinterest and Wanelo by creating their own branded presence within the sites. What’s behind this surge in interest and activity? A lot of money, for one. According to an AllThingsD article, Fab recently raised $150 million — for a $1 billion valuation. Forbes posted an interesting article about Wanelo and its recent $10 million round that valued the company at $100 million. That’s a lot of investment for relative startups — especially in ecommerce. 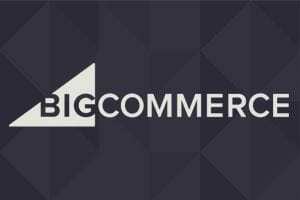 In this article, I’ll address three of the most rapidly growing sites in social commerce. Fab is really a social online retailer. 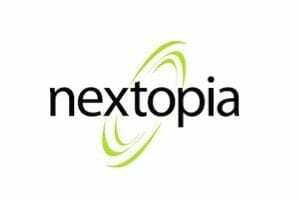 It sells products on its own store but leverages the community to extend the reach in an aggressive and intuitive manner. Many of Fab’s products are “flash” sales that are available for a limited time. Fab’s growth is huge, with about 500,000 unique U.S. visitors in May of 2013, according to Compete.com. Fab is now aggressively targeting international markets like China. Fab, which focuses on the design-oriented market, has more than 500,000 very active fans its Facebook page. Fab requires an account to add anything to its shopping cart. If you choose Facebook as a login, you will be asked to share your likes and such throughout the Facebook network. You do not have to allow sharing, but that is Fab’s best chance to reach new buyers. The store itself is very trendy and stylish. 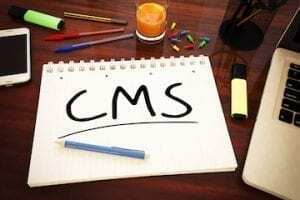 It does, however, feature very traditional categories, end caps, and navigation. The customer experience is good. Shoppers are encouraged to share the products they like with Fab as well as their external social media accounts. Fab has many different promotional and discount categories with deals as much as 60 percent off. In fact, Fab claims most items are discounted below their suggested price. But many items are one of a kind or created by artists, so determining what is a suggested price is difficult. 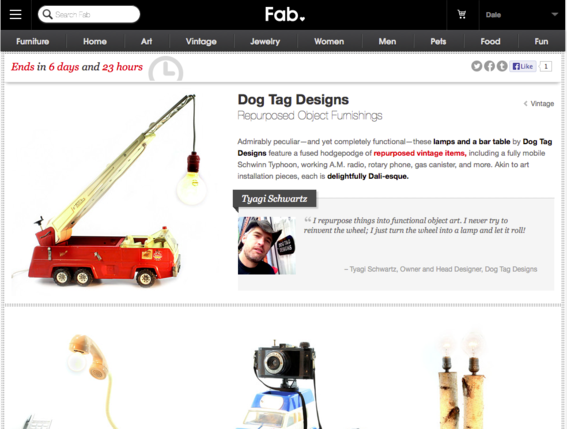 If you are a niche brand, designer, or an artist, you may want to sell your products on Fab. The flash sale concept is good for niche products, clearance items, and those with a limited supply. Fab is investing heavily in “exclusive brands” and deals that will help increase its margins so that it may actually make a profit some day. 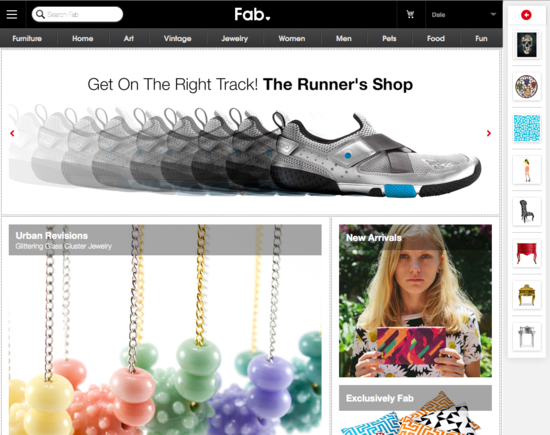 All online retailers should spend time on Fab and see how it leverages social media. There may be concepts you can use in your own store. You can bet Fab is doing extensive A/B testing to implement the most effective methods of capturing social activity. 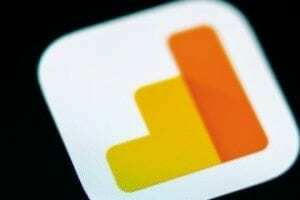 I am most intrigued by Wanelo and its potential to help online retailers. Wanelo had about 900,000 unique U.S. visitors in May 2013 according to Compete.com. As with Fab, you must create an account to leverage Wanelo’s community. As part of that process, Wanelo asks you to select three stores that appeal to you and three influencers whose “feed” — the products they like — appeals to you. This allows Wanelo to customize the products that are presented to you in your personal feed. 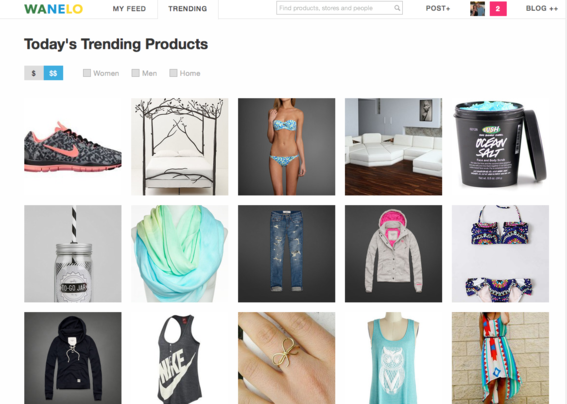 The more feedback shoppers provide Wanelo, the more relevant Wanelo’s recommendations will be. As shoppers browse categories, they can easily save an item, which then adds it to their feed, similar to “Pin It” in Pinterest. Shoppers will constantly see similar, related, and complementary items, much as they would in a traditional online store. Hashtags are used to tag items, which are then searchable. When shoppers actually buy a product, they must go the store that sells it. 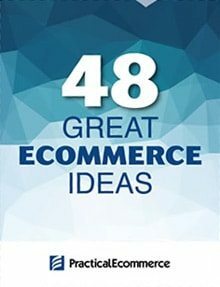 This represents an opportunity for any online store brand, which can create its own store within Wanelo. Other users can also create a store for you. Consumers or storeowners can easily add products to Wanelo by adding a product URL. Consumers or store owners can add products to Wanelo. Once a store is established, it will benefit from social marketing to sell products. 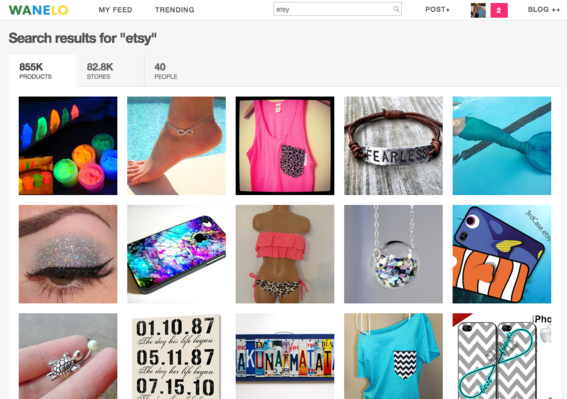 Wanelo’s mobile app is a best seller and providing much of the surge around its growth. According to Forbes, Wanelo’s long-term vision is creating a single place for consumers to shop for products they are interested in, by relying on the people and brands that they prefer. 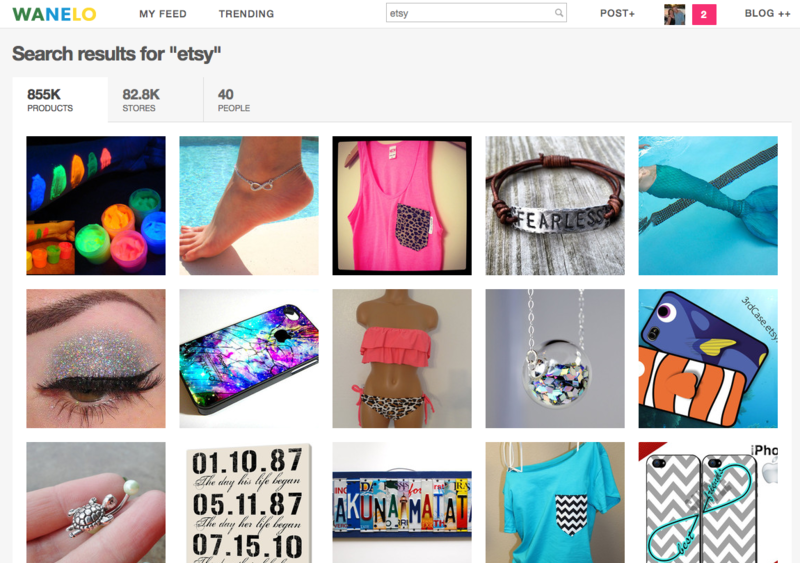 Wanelo’s focus is on the buyer rather than the seller. 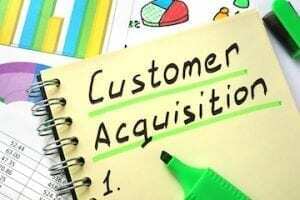 This provides a good match with seller-focused companies, such as Etsy. The search results below are from a search on Etsy within Wanelo. There are 855,000 Etsy products from 82,400 Etsy stores represented in Wanelo. Search results for Etsy on Wanelo. Pinterest is huge, with 30 million unique visitors in May 2013. The ability to find a product and Pin It to a board on Pinterest is a standard feature today for most online stores. Merchants can leverage the boards that they create as well as those of their shoppers. Pinterest success stories are widespread. 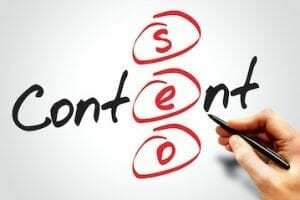 The key benefit of Pinterest is to provide an intuitive way to share interesting content that is aggregated and tagged in a variety of ways, which can be shared. Eventually, most Pinterest users establish various networks for different subjects. Ecommerce merchants should consider Pinterest for Business. Pinterest has lots of traffic and users that can help merchants promote their products. Sharing products on Pinterest is a key component of both Fab and Wanelo. 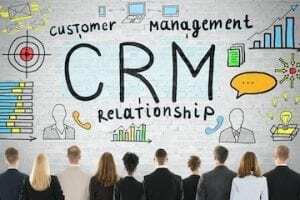 It should be a part of your selling strategy, too.